The Milwaukee Bucks made a decision to go all-in this season and make a play for Mirotic, who is averaging a career-high 16.7 points per game in the Big Easy this season. He is also averaging career highs in three-point attempts (7.2) and rebounds (8.3) per game. The Pistons traded Johnson to the Bucks on Wednesday for Thon Maker. 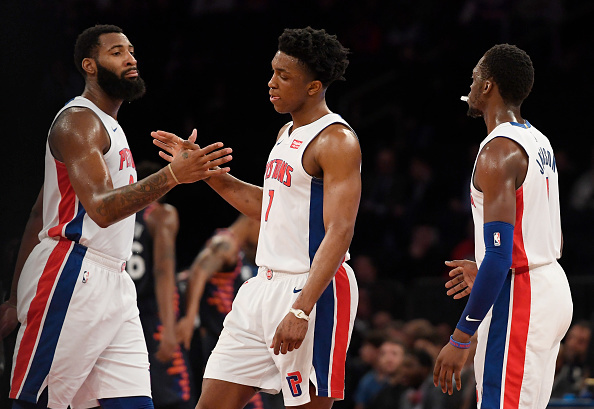 With the Pistons acquiring Maker, they're getting a player who reportedly wants to have more playing time, per an ESPN report from late January. Back to the present, let's look at today's Bucks stories. The Bucks and Maker's camp are actively working to find a new home for 2016's No. 10 overall draft pick. He appeared in six games with Milwaukee and averaged 2.2 points and 1.8 rebounds in 6.7 minutes per contest. Maker has shown flashes of his vast skill this season with the limited opportunities given to him, but he needs regular court time if he is to fulfil his potential. He's also making 2.7 3-pointers per game, tied for ninth in the National Basketball Association. For his career, the 22-year-old small forward has averaged 7.0 points through four seasons. He might be best as an undersized 4, but Milwaukee already has plenty of options there. He can become a restricted free agent this summer.